The government is to make up to £60 million of licence fee money to commercial broadcasters to make children's TV programmes. Content creators will receive up to 50% of the production and distribution costs of original TV shows. The money is part of a fund that the government first announced in 2016 and follows a consultation on what to do with the cash, which was unspent following the controversial 2010-2016 licence fee settlement, which saw some licence fee money being allocated to non-BBC services and projects. According to the Department for Culture, Media and Sport (DCMS), the fund is still in development, but would be available for content broadcast on commercial Public Service Broadcasters (PSBs) such as ITV, Channel 4, S4C and Channel 5 as well as for other free and widely available channels and on-demand platforms, and potentially also online. Over the past decade the output of children’s television from PSBs in the UK has been in decline, with spending falling by £55m. This investment will aim to help reverse that trend and is the first of its kind to specifically focus on children’s television. The contestable pilot fund is also aimed at stimulating greater variety in a market where the BBC is often the dominant buyer and broadcaster of children’s content. In 2016, the BBC accounted for 87% of all first run UK originated children’s programming by PSBs. Children's TV output from other UK broadcasters, notably ITV has dropped rapidly, with its children's channel relying on a large amount of imported programmes. 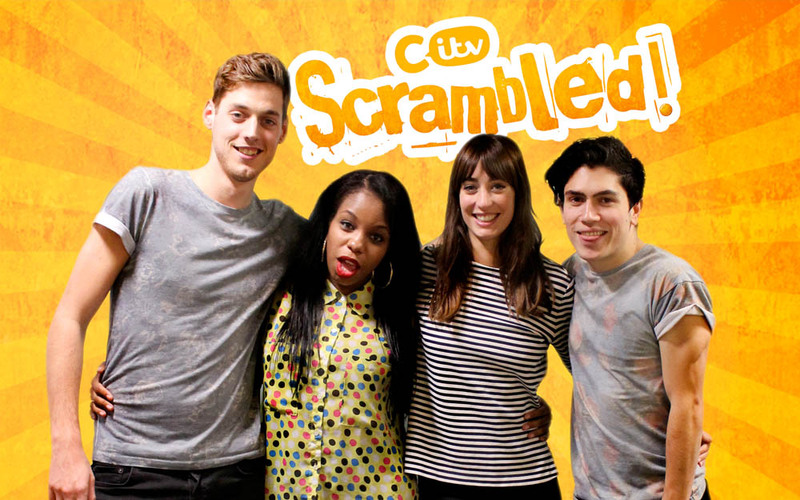 The channel continues to broadcast children's TV early on Saturday and Sunday programmes, with homegrown shows including Scrambled! (Pictured above). Channel 5 runs a pre-school children's TV strand called Milkshake every morning from 6am. Channel 4 has a minimal presence in the world of children’s TV. The pilot is intended to complement other measures taken by government in this area, including the introduction of a children’s TV tax break and new powers given to Ofcom. "High quality children’s television is not only entertaining but plays a vital role in stimulating learning and giving young people a greater understanding of the world around them. "This significant investment will give our world-renowned television production sector the boost it needs to create innovative content for a wider audience that would otherwise not be made." The BFI has been provisionally appointed as administrator for the fund, and will work with government on its "final design". Importantly, the DCMS admits that the "final design" may result in the decision not to give all of the money to children's TV, but also to "other genres."